U.S. retail sales may have been the most important event risk on today’s calendar but President Trump’s tweet about China and Russia playing the currency devaluation game puts tensions between the world’s 2 largest economies back into central focus. The Australian dollar is highly sensitive to any pressure on China. The Chinese have been talking about devaluing their currency and if they move forward, it reduces their purchasing power and their demand for Australian exports. 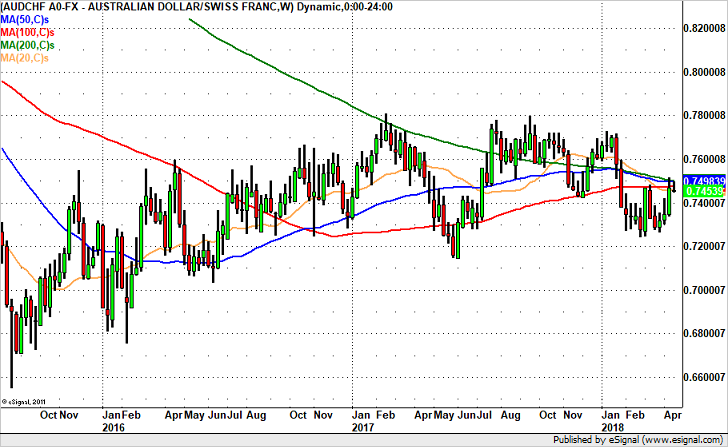 We like selling AUD vs. the Swiss Franc because geopolitical tensions are still high and USD/CHF is slipping on the back of softer retail sales. Will AUD Sink To 75 Cents?